The Meaningful Use program and Advancing Care Information (MIPS) have been renamed “Promoting Interoperability,” and new changes seek to do just that. Hospitals are already required to make a list of their standard charges publicly available, but CMS is updating its guidelines to specify that they must post this information. The already existing requirement is reaffirmed that providers must use the 2015 Edition of certified electronic health record technology (CEHRT) in 2019 as part of demonstrating meaningful use. This includes use of application programming interfaces (APIs). CMS is asking for comment on what price transparency information stakeholders would find most useful, as well as suggestions for how to make interfaces more patient-friendly. According to CMS, the intention behind these and other changes is to make the program “more flexible and less burdensome” on providers by focusing on strengthening interoperability and data sharing; to “emphasize measures that require the exchange of health information between providers and patients” (further detailed in our point 2); and to incentivize providers to facilitate patient access to electronic medical records. The name change is meant to underscore this renewed drive toward interoperability. 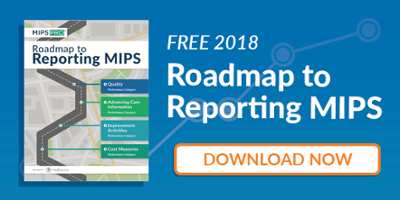 CMS intends to remove unnecessary, redundant, and process-driven measures from quality reporting and pay-for-performance programs. CMS proposes a new scoring system for eligible hospitals. In the past, participants in Meaningful Use were scored under a pass/fail system. Under Promoting Interoperability, providers would instead be rated on a 100-point scale, where anyone scoring over 50 points would avoid Medicare payment adjustments. Experts warn the stakes may be raised for interoperability. Jeff Smith, VP of public policy at the American Medical Informatics Association (AMIA), has voiced an interesting concern about an RFI (request for information) within the proposed rule. The RFI seeks information on whether CMS should consider participation in the Trusted Exchange Framework and Common Agreement (TEFCA) a health IT activity, and allow it to count for credit within the health information exchange objective. Provider participation in this initiative is currently voluntary, but Smith warns (via HCInformatics) that providers may ultimately be forced to participate in order to take part in Medicare at all. CMS Administrator Seema Verma seemed to allude to this possibility in a Tweet, writing: "To avoid a payment penalty, providers will have to provide patients with electronic access to their health information." Mari Savickis, vice president of federal affairs at the College of Healthcare Information Management Executives (CHIME), also worries about indications that CMS may mandate participation in TEFCA. She is quoted by HCInformatics as saying: "[...] if CMS says that if you don’t participate in TEFCA, that means you are a data blocker—well that would be a big concern of ours." June 25, 2018 is the deadline for submitting comments on the proposed rule and RFI. The rule would take effect October 1. Subscribe to the Healthmonix Advisor to stay up-to-date on this and other developments in the world of value-based care.